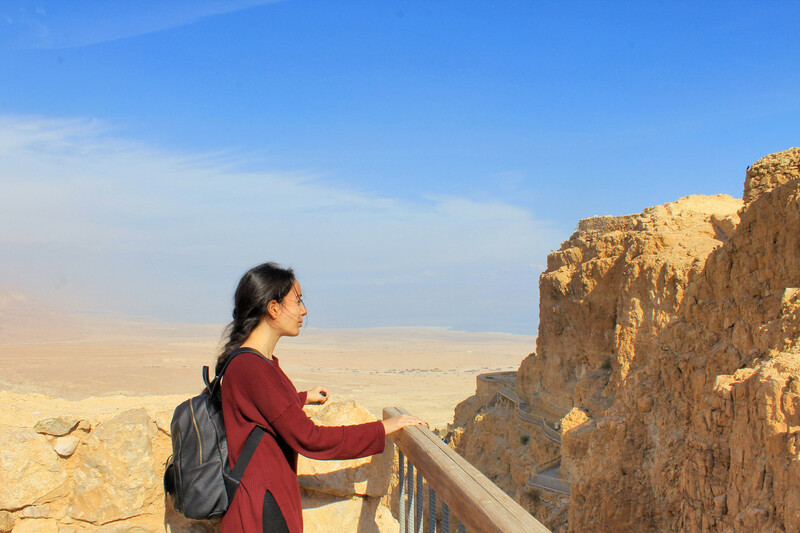 When I first started planning my trip to Israel I just knew I wanted to visit the Judaean Desert, an absolute dream of mine, and when researching ways to go about doing this, the Tourist Israel day-trip to Masada and the Dead Sea from Tel Aviv seemed to fit perfectly with my plans – a thrilling adventure in the cliff-encased desert with a plunge into the lowest point on Earth was just what I needed. Everything about my day trip went far beyond my expectations, and believe me, I had very high expectations. I certainly think this tour is a must for anyone traveling to Israel (or Jordan), but I’m pretty sure you’ve heard that about so many parts of Israel. So, don’t take my word for it – I won’t just tell you. I’ll show you! The tour car arrived promptly at 7am, and after a quick stop in Jerusalem we soon started driving past mile after mile of the vast Judaean Desert. I was desperately trying to take a nap but I just couldn’t stop looking outside my window to enjoy the view. Around 10 AM, we finally reached Masada. 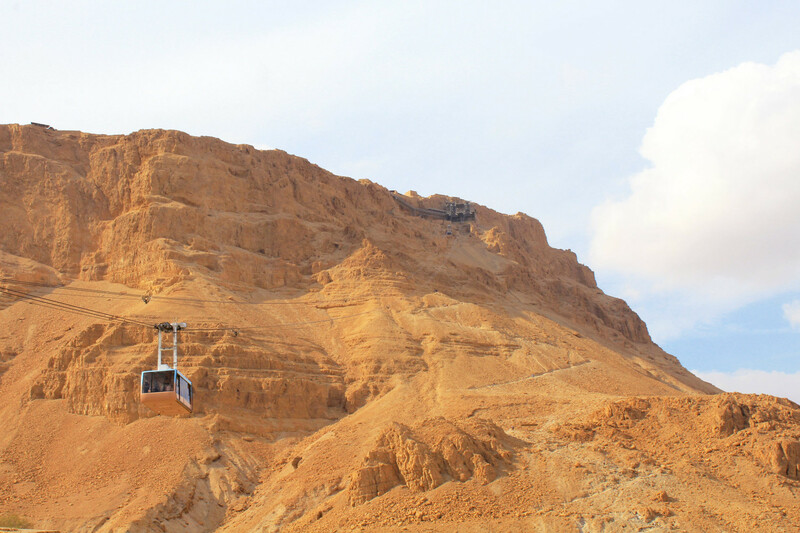 Masada – “fortress” in Hebrew – is an ancient fortification King Herod built for himself on top of an isolated, rocky plateau overlooking the Dead Sea, on the eastern edge of the Judean Desert. An engineering mastermind and in fear of pretty much everyone around him, during this time he built over 11 fortresses as places of refugee. Upon this fortress King Herod built steep walls, two palaces, deep cisterns, many bathhouses and even a synagogue. Since we were on a day-tour and only had a set amount of time to see the top, we decided to take the cable car directly to the top, instead of climbing the infamous “snake path”. While going up, all you see is desert for miles and miles around it. The lofty heights of the rocky cliffs are surrounded by a natural landscape of incredible beauty: they border to the North West with the hills and terraces of the desert, to the North East with a savage terrain that blends seamlessly into the turquoise waters of the Dead Sea and to the South with the Western wall of the Syrian-African valley. Once at the top, an incredible view greeted us. But the awesome landscape is not the only reason why this place is so revered by Jews worldwide. Masada was in fact the last stand for the Jews against the Roman Empire. 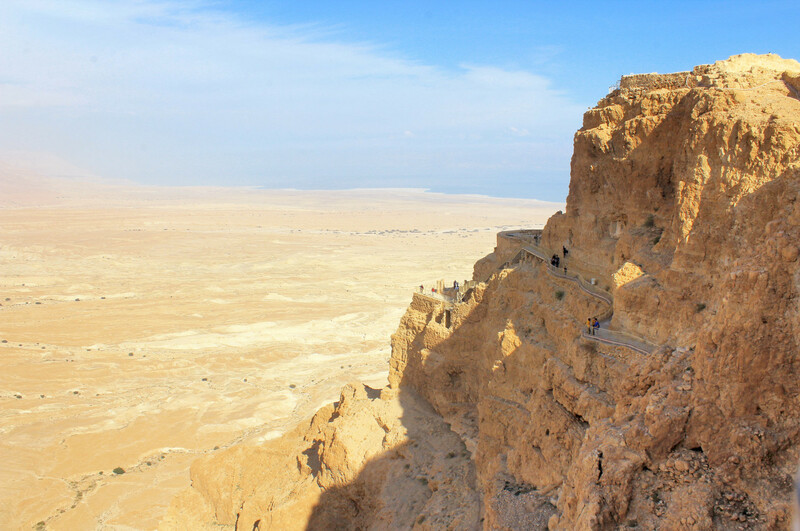 When the Romans decided to attack Masada in the first century CE, the inhabitants decided they would not surrender, and at the end, rather than be enslaved by the Romans, opted for mass suicide. The most disturbing theory is that 9000+ men, women, and children committed collective suicide here, and according to some, the Jews even left abundant supplies of food and water, so that the Romans knew that they didn’t starve but willingly took their own lives rather than being captured. Two women managed to hide and thus told their story later to Flavius Josephus, a Roman historian. Our guide took us around the ruins to see the rooms that have been preserved there, telling us all about the history of the site. You can actually see some of the original wall paintings which are well-preserved, as the frescoes were created by applying the pigment to wet plaster so that it would soak into the wall. After completing our tour at Masada, we were ready to move on to our next destination. It was a very quick drive, and before realizing I was headed to the Ein Gedi Beach in my flip-flops, happy and ready to float in the Dead Sea. 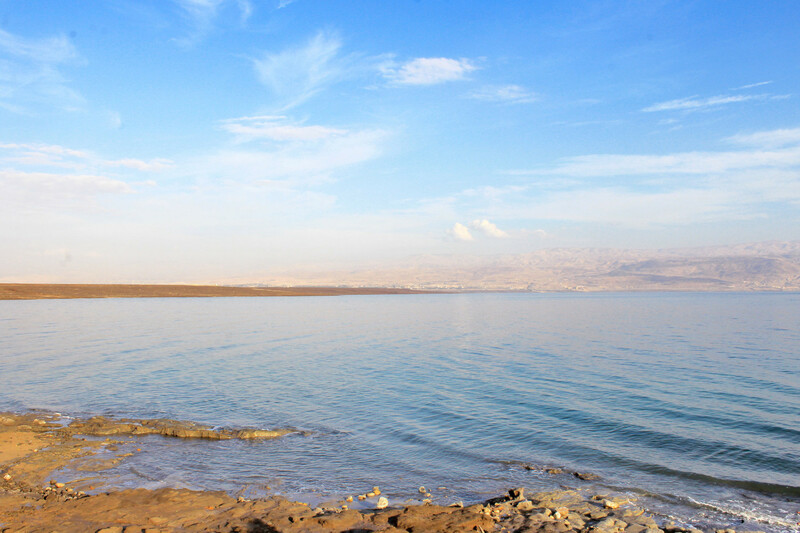 WHAT MAKES THE DEAD SEA SO SPECIAL? While not classified as one of the seven wonders of the world, the Dead Sea is definitely a place for the record books. The lake sits 430 meters (1,400 feet) below sea level, making it the lowest place on Earth. It definitely lives up to its name: there is no sign of life anywhere. No plants, no sea weed, no fishes. The Hebrew name of the Dead Sea, Yam Hamelakh, is also very fitting, translating to the Salt Sea. 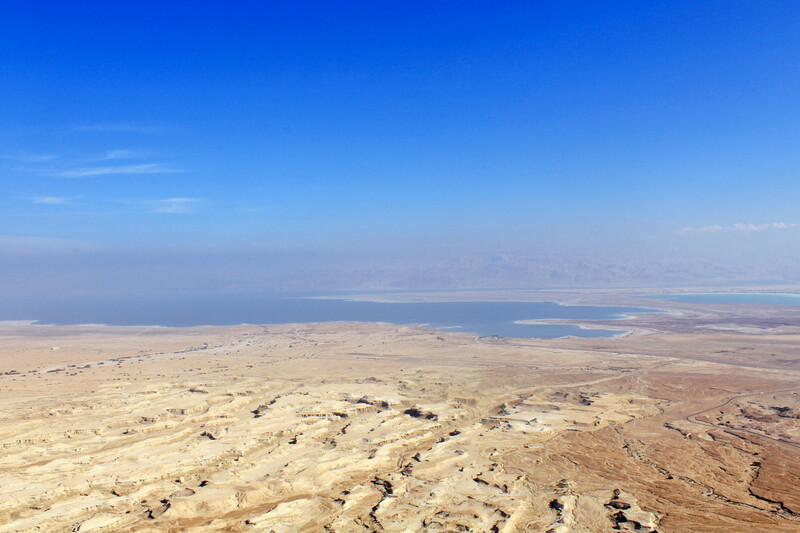 The salinity of the Deas Sea is 34 per cent – ten times higher than in the ocean – so salty that you cannot actually swim in the Dead Sea as it keeps on bringing you to the top, so it is best just to lie back and float. Within the first few steps in, I was surprised at how warm the Sea water was. It was like a big, warm, salty hug. As I got to about waist-high in water, I slowly laid back, my legs gradually bounced to the surface, and I was floating. I know that’s what is supposed to happen there, but what a surreal feeling it was to experience this in reality. The water is super salty so it burns like a biatch if you have any open wound, however small it is. Don’t try to submerge your head in the water or touch your eyes, unless you really enjoy the feeling of them being on fire. When you try to go from place A to B, use your hands as rudders. Flipping over on your stomach and trying to “swim” to shore is totally ineffective, and you essentially end up doing a very awkward doggy paddle in the water and getting absolutely nowhere. I know this because I tried. You can’t possibly leave the Dead Sea without covering yourself in the infamous Dead Sea mud. Luckily for you, I put my camera away for this part, but I can tell you that after letting it dry for a good 15 minutes and rinsing it off my skin felt like butter, as soft as a baby’s bottom. 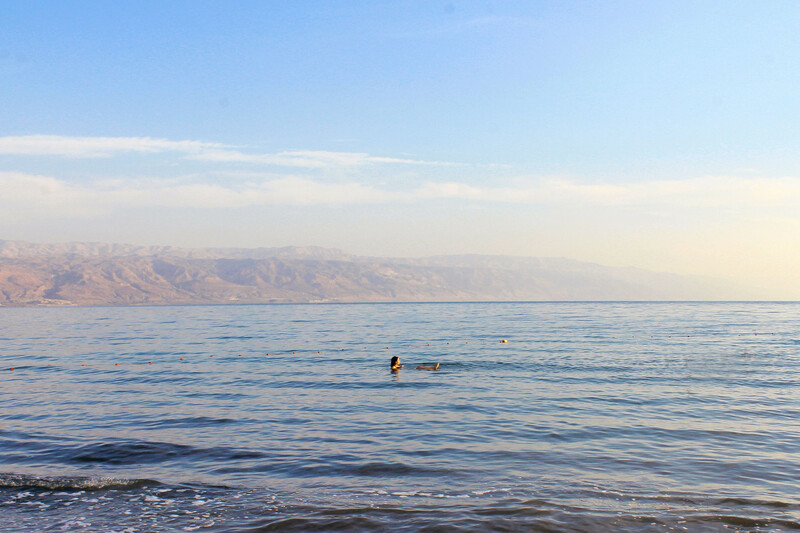 Floating in the Dead Sea was one of the experiences I looked forward to the most in Israel, and it was just as amazing as I knew it would be. It’s a unique travel moment that can only be had in this tiny part of the world. Tourist Israel Team was awesome. Ben and Lara were very quick to answer all my questions (and there were lots) and their suggestions were super supportive and helpful. I swear they didn’t pay me to say that, it’s my honest opinion. I’d really like to thank them for making my day-trip to Masada and the Dead Sea memorable. If you have any comments or questions, feel free to share them below or get in touch with me via e-mail/ Twitter. 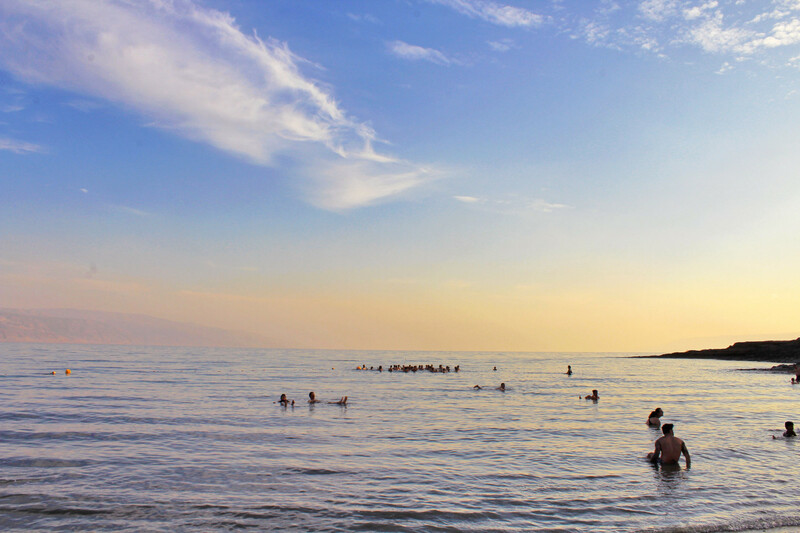 Have you ever floated in the Dead Sea?